The package of conventional takeoff and landing aircraft, engines, software and personnel training is estimated to cost $6.53 billion, the Defense Security Cooperation Agency said on January 18. Also included in the proposed sale are electronic warfare systems, Lockheed Martin's Autonomic Logistics Information System, a full-mission trainer and other equipment, the agency said. 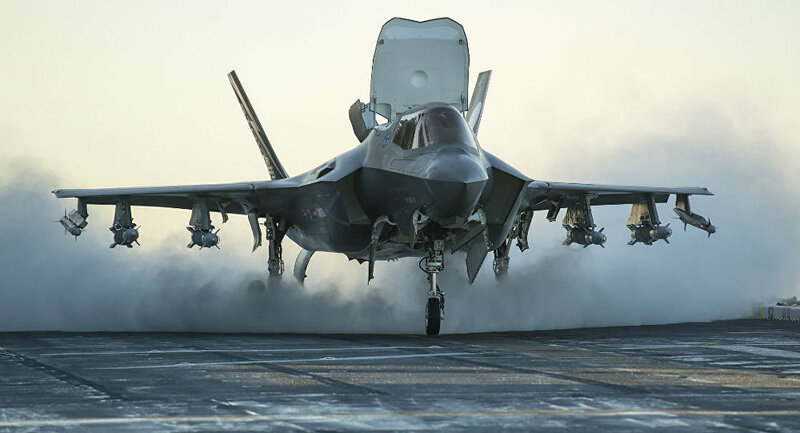 Belgium's government has not formally picked Lockheed Martin's F-35 for its future aerial fleet, and thus "this proposal is being offered in the context of a competition," the agency noted. The Eurofighter Typhoon, which is produced jointly by BAE Systems, Leonardo and Airbus, and Dassault's Rafale fighter makes up the rest of the competitive playing field after Boeing dropped its F/A-18 Super Hornet bid and Saab withdrew its offer to sell Gripen E jets. A final decision is expected by mid-2018, the Aviationist reports. Of the four governments that purchased a combined 348 F-16s from General Dynamics in what some labelled "the arms deal of the century" in 1975 — specifically Denmark, the Netherlands, Norway and Belgium — Belgium is the only nation that has stayed on the sidelines of the fifth-generation F-35 program. "The proposed sale of F-35s will contribute to the national security of the United States by helping to improve the security of an ally and partner nation which has been, and continues to be, an important force for political and economic stability in Western Europe," the State Department said in a statement. The F-35 is one of Lockheed Martin's most important products. Sales of the jet could eventually make up 50 percent of the largest US defense manufacturer's total revenues, according to a Motley Fool analysis.